From the 10 January edition of the Birmingham Post and also published on the excellent Midlands Music Reviews website, a new five-star review from Norman Stinchecombe of our Nimbus Alliance recording of Philip Sawyers Violin Concerto, Trumpet Concerto, Elegiac Rhapsody in Memory of John McCabe and The Valley of Vision. 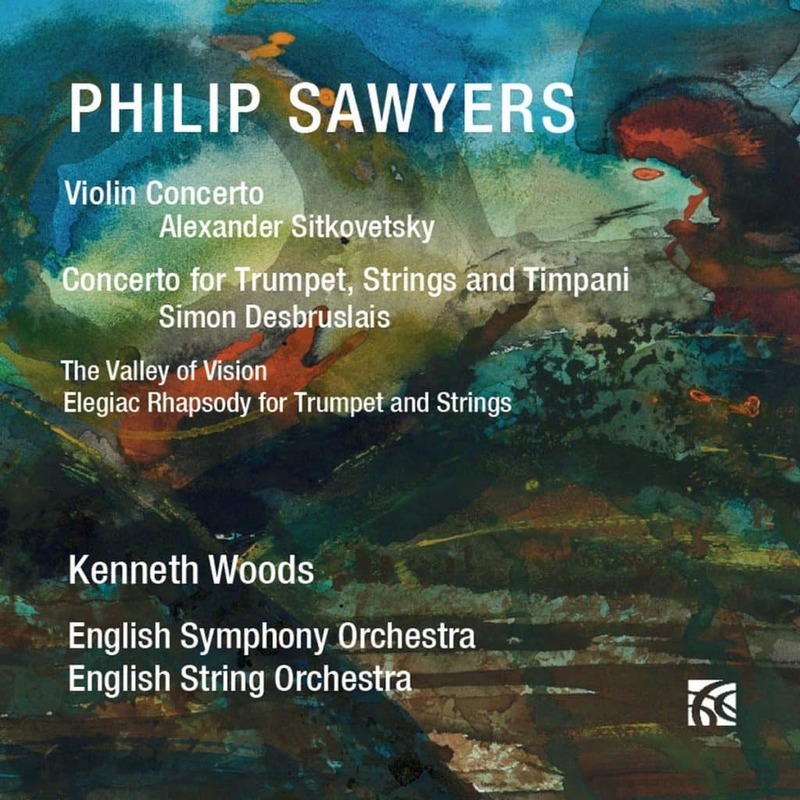 When Philip Sawyers’ Violin Concerto was premiered this year my reviewing colleague was “wowed” by it. Listening to this recording performed by the same forces – soloist Alexander Sitkovestsky and the English Symphony Orchestra under Kenneth Woods – I was similarly impressed. With its emphasis on long flowing melodic lines it recalls Nicholas Maw’s equally approachable concerto, although its sound-world is very different. Sitkovestsky illuminates the concerto’s musical textures and revels in its fiery cadenza while Woods and the ESO clearly enjoy the energetic finale’s robust pastoralism. Simon Desbruslais is the soloist in the Concerto for Trumpet, Strings and Timpani and the Elegiac Rhapsody for Trumpet and Strings. The concerto is immensely challenging with a tempestuous opening movement, a lively rondo finale and a warmly lyrical slow movement and Desbruslais rises to all its demands. The Rhapsody and the tone poem The Valley of Vision find Sawyers in deeply meditative mood.